Khayrullo Mirsaidov (centre), 2016. Source: Facebook. 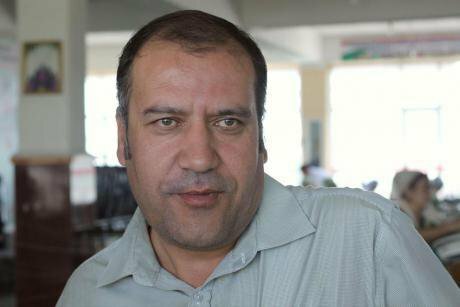 Khayrullo Mirsaidov, a well-respected independent journalist in Tajikistan, was arrested on 5 December 2017, after he publically appealed to the country’s president regarding corruption in the northern city of Khujand. On 11 July 2018, Khayrullo was sentenced to 12 years in prison after a court in Khujand convicted him of embezzlement, forging documents and providing false testimony. Mirsaidov is an extreme case of a wider problem. According to Human Rights Watch, at least 20 journalists have fled the country within the past year, fearing persecution for their professional activities. 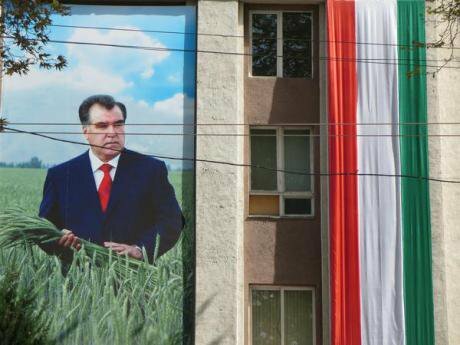 This latest incident appears to be another attempt by the Tajik government to suppress any critical voices raised against the regime of Emomali Rahmon. Since 2015, the Tajik government has pursued a widespread crackdown on free expression, peaceful political opposition, independent legal profession and the independent exercise of religious faith. In 2015, the government blacklisted the two major democratic opposition groups, the Islamic Revival Party of Tajikistan (IRPT) and Group 24, and labelled them as “terrorist and enemies of the state organisations”. International observers such as Amnesty International, Human Rights Watch and Fair Trials International report that allegations related to corruption and terrorist crimes have become the most widespread methods used by the authoritarian regimes against their political opponents. 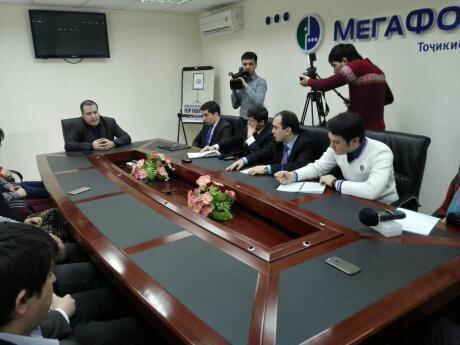 Additionally, the Tajik government has also abused the Interpol notice system to target several peaceful political activists living outside of Tajikistan, including Muhiddin Kabiri, an IRPT party leader. As a result of the entrenchment of the authoritarian regime, civil society space in Tajikistan has disappeared since any criticism against the government carries the risk of ending up in jail. Moreover, as the judiciary is entirely the creature of the regime, it lacks of tools to hold the government to account, allowing those with connections to the ruling elite to act with impunity. Khayrullo Mirsaidov. Image: Antuan Veselov.As a result of the entrenchment of the authoritarian regime, civil society space in Tajikistan has disappeared since any criticism against the government carries the risk of ending up in jail. Moreover, as the judiciary is entirely the creature of the regime, it lacks of tools to hold the government to account, allowing those with connections to the ruling elite to act with impunity. This authoritarian closure is not confined within Tajikistan’s borders. As the Central Asia Political Exiles (CAPE) database developed at the University of Exeter demonstrates, the Tajik government has increased its repression of all forms of opposition – not only inside the country but also increasingly outside – by targeting perceived critics abroad, seeking their detention and extradition back to Tajikistan. Increasingly, exiles are subject to surveillance and harassment from their home state while residing abroad. CAPE has recorded 37 high-profile exiles subject to harassment, detention, violence and/or forcible return in the period 2013-2017 compared to 10 in the 2008-2012 period. The sentencing of Khayrullo Mirsaidov has shocked the international community, which has remained largely passive during his trial. According to Michael Andersen, from the 129 relevant MPs he contacted about Khayrullo’s case, he has received only three responses to date. This is despite the work that Mirsaidov has done and that western governments have actually funded through projects run by the OSCE, UNDP and the UK’s Department for International Development (DFID). Cases like Mirsaidov’s are linked to repression abroad in that the opposition figures, civil society activists and journalists being targeted were often those supported by western aid in the decade or so following Tajikistan’s civil war (1992-1997). As freedom of speech has been slowly eroded and then entirely stamped out, western states continued to cooperate on security despite the long-term problems that are likely being fostered by the hardening of authoritarian rule in Tajikistan, as well as the neglect of the terms of the 1997 peace agreement which aimed to create conditions for democratic reforms and economic liberalisation. Leader of the Nation and president for life of Tajikistan, Emomali Rahmon. Photo CC-by-NC 2.0: Leiris202 / Flickr. Some rights reserved.In this light, the response from western diplomats to the jailing of Khayrullo is too little, too late. On 11 July, the Embassies of the United Kingdom, Germany, France, the United States, and the EU Delegation in the Republic of Tajikistan issued a joint statement expressing their “common grave concern” about the severity of the sentence and noted that this may “cast a shadow on our cooperation” with the government of Tajikistan. Why has western aid failed? The reasons why western aid has failed to foster freedom of speech are multiple and complex. However, we can say with some confidence that the failure is not attributable to disengagement. While the volume of western activity may be less than that of Russia and China, it remains significant. Since the early 2000s, EU development assistance to Tajikistan has increased from around €20m annually to a figure of around €33m today. Currently the EU is Tajikistan's third largest trade partner after Russia and China, and its main imports are in aluminium, agricultural products, and textiles. Since October 2008, the EU and Tajikistan entered into an enhanced dialogue on human rights, yet the deteriorating human rights situation in the country throughout the years demonstrates that there is a huge disconnect between intended EU reforms and their actual implementation in Tajikistan. A more compelling reason for the failure of aid to protect basic freedoms is surely found in the decoupling of aid from foreign policy and the failure to make wider economic and security cooperation conditional upon a standard of human rights. Just as academic cooperation cannot take place without a basic standard of academic freedom, so international cooperation in areas of media and civil society requires the rule of law and freedom of speech. Khayrullo Mirsaidov’s predicament demonstrates the need for relevant western diplomats and politicians to offer sustained pressure rather than nominal complaints to the Tajik authorities. It is both realistic and more coherent to adopt a policy of conditional and more circumspect engagement towards an increasingly repressive Tajikistan. Otherwise, programmes to support freedom of speech and an open media risk putting their participants, such as Mirsaidov, at risk. Western governments must take responsibility for the vulnerabilities created by their interventions, rather than walking away at the end of a funding cycle. The aforementioned arguments may seem both idealistic and well-worn. However, it is simply pragmatic to reduce cooperation with a state like Tajikistan, whose meagre economy and politicised security services have very few business opportunities and reliable intelligence to offer foreign partners from the OECD states. Beyond conditional engagement and gradual withdrawal, there is a growing call for “Magnitsky-style” measures to be adopted for countries like Tajikistan. The Global Magnitsky Act was signed into law by President Barack Obama in December 2012 as a mechanism to target individuals (rather than countries) responsible for human rights abuses with punitive sanctions. The law at first blocked 18 Russian government officials and businessmen from entering the United States, froze their assets held by US banks and banned their future use of US banking systems. Since 2016, sanctions apply to 44 suspected human rights abusers worldwide. The adoption of Magnitsky-style laws would allow for the sanctioning of officials in senior positions in the security services and judiciary in Tajikistan. The hardening of authoritarianism in Tajikistan in recent years demonstrates that its leaders feel that support from Russia, China and other illiberal powers makes it immune from western criticism and human rights conditionalities. But the very same leaders want to buy property in London, hold money in British overseas territories, and send their kids to universities in the USA. They do so, apparently, because they value the freedoms these places offer to individuals while not being willing to provide these freedoms to their own citizens. At the very least, western governments should withhold freedoms abroad from officials responsible for repression at home.